In our modern multicultural Babylon of identities there are a plethora of subject matters and their variations. We are presenting a character-driven story where each character’s life can be divided into cases and each case could be corresponding to different aspects of identity issues. Various studies have shown that national identity is not an inborn trait that a person’s national identity results directly from the presence of elements from the “common points” in people’s daily lives. So we will try to capture the moments when child’s national identity may start to form. What are those elements from the identity “common points” in our character’s daily lives? At what age the sense of belonging to one state or to one nation can be born? Is it possible to manage a feeling one shares with a group of people, regardless of one’s legal citizenship status? 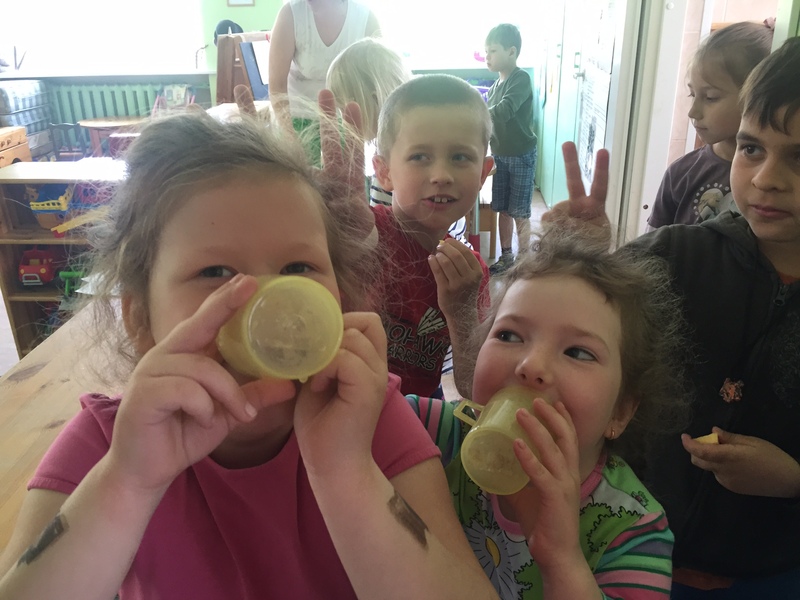 Almost for four years the film crew followed several Russian-speaking families as well as other connected people and groups in their search of options when not only the level of language proficiency is put at stake, but the children’s future ethnical identities as well. The storyline unfolds in different environments – in kindergartens and schools, homes and offices, inside and outside, reflecting all sort of family and social events. One group of characters are parents united with the blissful dream: to have their kids speak Estonian. They are lost or obsessed by linguistic challenges and wish their kids to learn the State language in order to have important labour market advantages in the future. DIANA DIDYK (34) and her daughter KSENIA (5). Diana works in an international company’s Estonian branch as a graphic designer. She is a single mother. Diana’s grandparents migrated to Tallinn in 1953 and her father was already born in Tallinn. Film starts when 5-year-old Ksenia was moved from Russian to Estonian kindergarten till the decision was made to enter Estonian School. 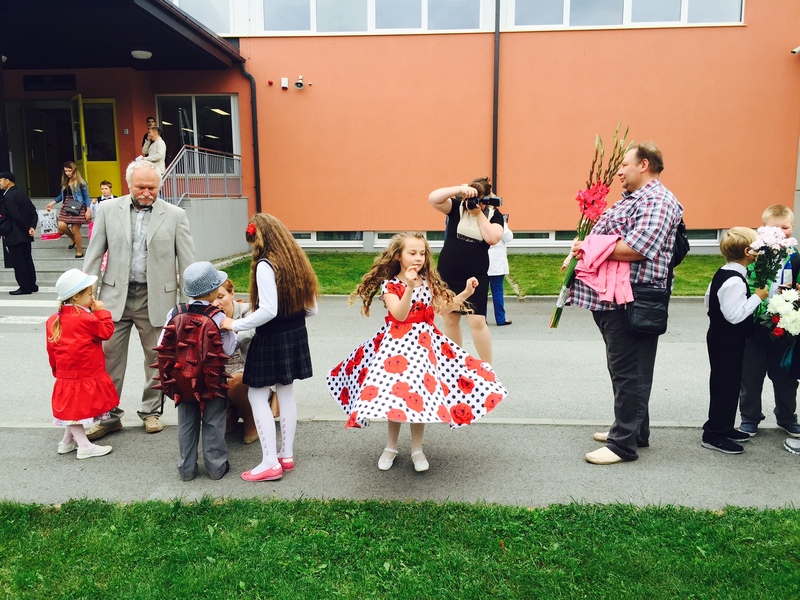 During this period, we managed to film different moments of girls integration into the Estonian cultural environment. ANDREI GUDIM (38), his wife YELENA (38) and their daughter EMILY (4). Andrei is an executive manager of an automobile repair service and is a Green party activist. His wife runs a small beauty salon. Gudim’s grand-parents migrated to Estonia in the 50’s. VITALY (18) – is a fresh graduate from Russian-speaking school. He wants to be a filmmaker and is with his classmates is shooting a video on identity issues. He is planning to study in St Petersburg Film and TV University and is not sure which country he will prefer to live in after the graduation. All is open. 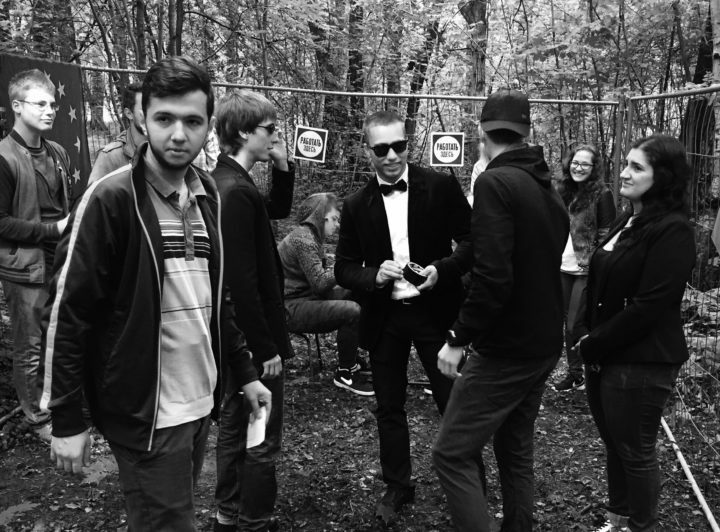 MARK (12) – is a teenager who decide to change Russian school to Estonian education and face a lot of difficulties with the integration to the Estonian school community. How to decide which steps to take if there is little Estonian spoken within the household, and the kids’ age is where their linguistic learning abilities are at their strongest? Where can the courage be found as later, during school, the kids cannot be assisted with their homework by their parents? Why push on if being a part of the child’s social life becomes a big question and there is even a possibility of losing connection with one’s national identity? Pros and cons are offered at homes and offices as well as in narrow kindergarten corridors, yet the desired light at the end of them is still not shining for a lot of parents. But the clock is ticking primarily for five and six-year-olds, because that is the age at which preschool begins in Estonia, and the curriculum is in two different languages. We see all characters in their offices and at homes, we follow how the decision to change the language enviroment was born and how it is enforced, we observe children’s everyday activities, and the emergence of communication in the new language; heated debates among relatives and friends on education and identity issues. We try to understand if there are any changes in personality when our little ones are switching from one language to another (it is known that some bilinguals feel that their personalities change depending on which language they are speakig). The core of the story is told through the voices and stories of the five families and their children. In addition to these powerful personal insights, the documentary include encounters with some grandmothers and grandfathers who are the 2nd generation migrants. That is done through the dialogues with the younger generations. This will provide context, perspective and insight. The film combines high-end, beautifully shot intimate moments during four years (2013-2017), showing a “behind the scenes” of several Russian speaking families. It is a precious glimpse of a time and place never seen by those outside these language communities. Interviews are taking place in quiet home settings to create an intimate and comfortable experience for both the interview subjects and the viewer. I’m bilingual and my two sons are as well. At home, we speak Russian, because my husband is Russian-speaking, but with each other they communicate in Estonian as they’ve finished Estonian schools. Both sons speak English at a high level and at school studied German as a foreign language. The result is that in their twenties they are fluent in four languages. So when I listen to debates around issues on Estonian language, and how difficult is to get people to learn it, I see a certain cynicism in the arguments of politicians. Language skills should not be an issue in contemporary world, much more complicated are identity issues. I want to shed a new light on a part of our reality that has become common for many of today’s children and their parents. Individuals’ exposure to multiple languages is becoming increasingly frequent, thereby promoting a need to acquire additional languages. In my view, in an attempt to score points among older generation voters, certain Estonian politicians are pulling society into the past. Our kids along with other small independent nations’ schoolchildren are compelled to learn multiple languages because of modern international interactions. This film provides an unprecedented opportunity to empower, engage and enlighten multilingualism as part of the new contemporary identity. The last is becoming a social phenomenon governed by the needs of globalization and cultural openness despite the fact that some politicians are serving groups of primitive nationalists still residing in captivity of last century injuries. 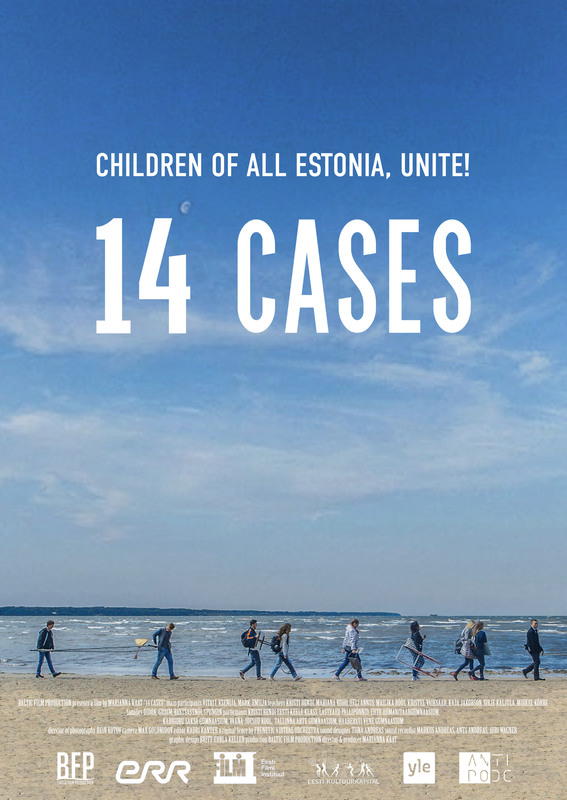 14 CASES is not only and specifically about Russian or Estonian identity challenges. I’ll try to catch and reflect language and identity issues which are actual for most of the people who are forced – doesn’t matter if voluntarily or due to circumstances, – to change political and cultural environment and foremost stand for a better future. Film follows different age present-day Estonian Russians who are facing difficulties with their identities. 14 CASES is a feature documentary film targeted for international audience taking a fresh look at the present-day Russians living in Estonia. It is a character driven story and it focuses on personal stories of born in Estonia young people who are the descendants of migrants from the Soviet era, representing almost the third generation. Although they lived their whole life surrounded by Estonian national symbols and colours, lifestyle and cuisine, they still speak Russian as their mother tongue, got secondary education in Russian language, listen and watch Russian radio and television, and gravitate towards Russian culture. They feel belonging to the history of Russia and Russian consciousness. But Baltic Russian is not something solid and single. Many Baltics Russians associate themselves with the Russian nationality, while at the same time they are Estonian citizens. Some of them face an identity crisis: a conflict of national identity with civil identity. But most of Baltic Russians feel an awareness of difference, the recognition of being not fully integrated into the society. A lot of Russian high school graduates leave country to study abroad and never return. At the same time there are also those who feel obsessed with languages and mislead by pro-Russia politics but love and prefer to live in Estonia. Almost for four years the film crew followed several Russian-speaking families in a decision-making period. All of them were facing the difficult task – to determine their own or their kids future. According to the age the choices differed. For the parents of five-year-olds – it is not an easy choice of kindergarten, either Estonian or Russian. 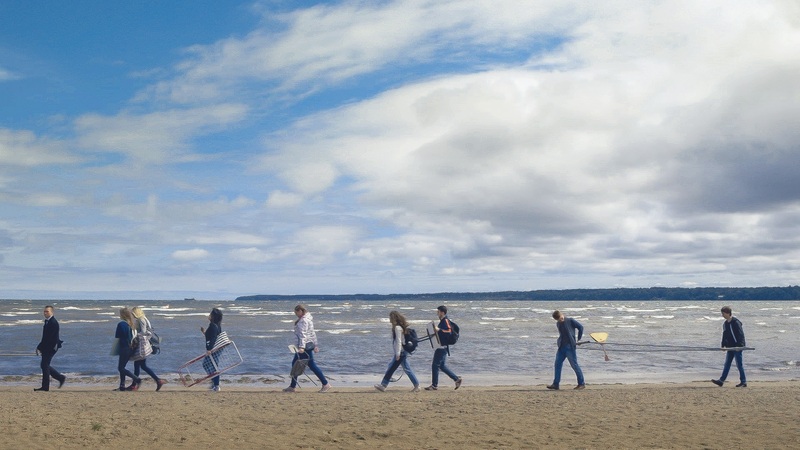 For the family whose 12-year old son suddenly decides to change the school to Estonian – the question of his established identity which doesn’t well match with boy’s new schoolmates’; for the high-school graduates, the question either to stay or to leave Estonia. 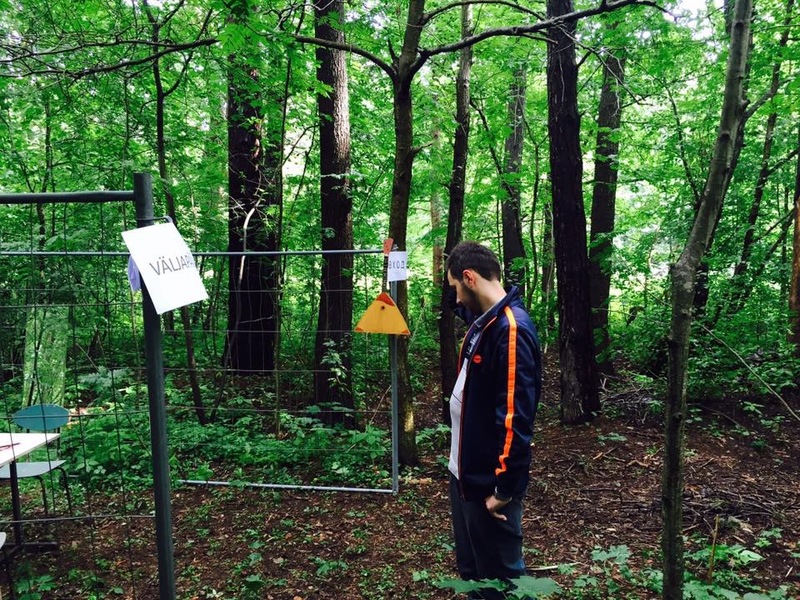 Vitaly, a Russian-speaking gymnasium student, one of the characters of 14 Grammar Cases, Marianna Kaat’s documentary, together with his friends built a wire cage in the forest. According to him, the cage symbolizes our society. “I found Vitaly thanks to a video project, and he became one of the characters of my film. That is his vision of the world: humans are in a cage and want to get out of it”, says Kaat. The film shows different families motivated to teach their children Estonian even if the parents themselves do not speak Estonian very well. Kaat says: “I wanted to show people who are loyal to Estonia, who want to live here and do their best to give their children a future in Estonia. Estonian audience can see that there are Russians who are ready to make an effort to become a part of our society. As far as we – the state and the society – can help them”. 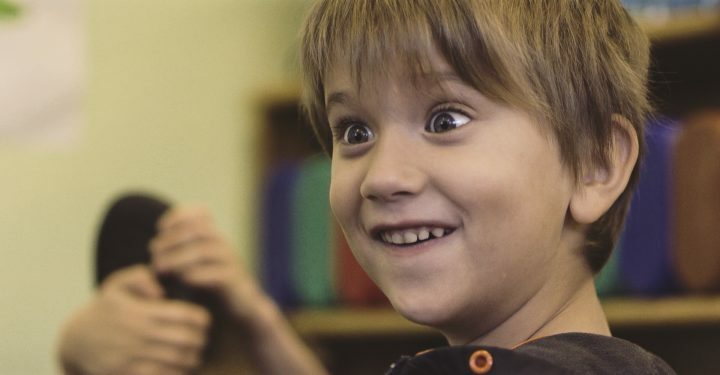 The film shows with clarity the identity problems that such people face: will the Russian language and the Russian culture become foreign to the children who intensely learn Estonian? The story of Vitaly is telling in itself. After graduating from the gymnasium, he went to study to the St. Petersburg University. He is not considered a Russian there. And in Estonia the young man was not considered an Estonian because he does not speak Estonian.